Gas lights were first introduced to New Orleans in 1824, and are still in abundant use today. Maybe they are what makes New Orleans? 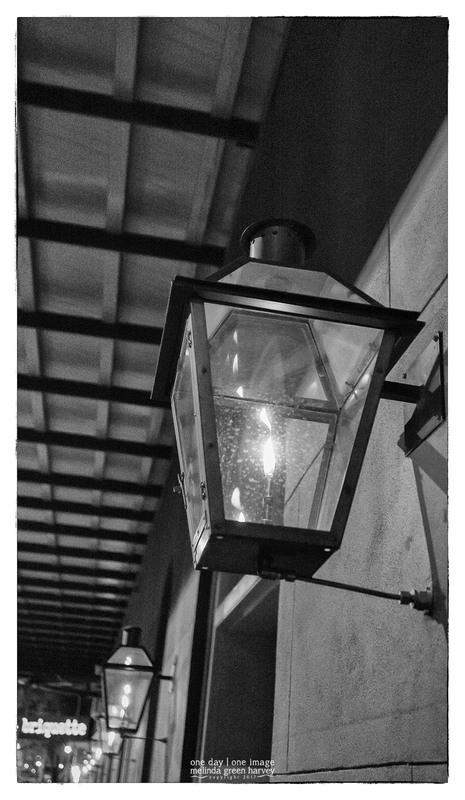 Posted on November 13, 2017, in Photography and tagged 365 photo project, architecture, black and white photography, gas lights, learning to see, Leica, melinda green harvey, monochrome, new orleans, NOLA, one day one image, photo a day, photography, postaday, thoughtful seeing, travel, travel photography. Bookmark the permalink. 2 Comments. You may be right. I do associate gas lights with New Orleans although several cities do have gaslight districts. When we lived in New Orleans, in the 1980s, even out in the suburbs people had gaslights in their front yards – folks love ’em.